Editor’s Note: ANS Reporter, Brian Nixon, wrote this article in January of this year. We reprint it as a means to give our readers an idea of the man Pope Francis mentioned during his congressional speech. 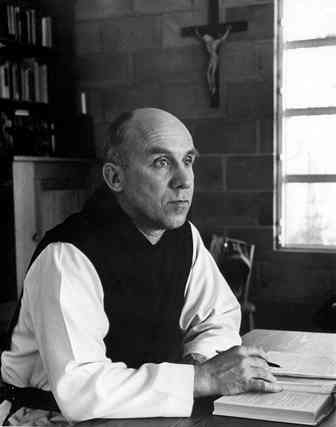 ALBUQUERQUE, NEW MEXICO (ANS – September 25, 2015) — Poet, author, and monk, Thomas Merton, was born 99 years ago on January 31st, 1915. He’s celebrated all over the world for his writings, poetry, and practical blend of Catholic and mystical Christianity. Born to artist parents in France, Merton ended up in the United States with his American grandparents—via short, academic stays in England and Rome—after his parent’s deaths. His mother was an artist and American Quaker, his father, an artist and Anglican from New Zealand. Merton was converted to Christ while a student at Columbia University. In December of 1941, Merton entered the Abbey of Gethsemane in Kentucky. He became a novice in March 1942. It was at the monastery that Merton began to write his journals, poetry, thoughts, and theological musings. His writing culminated in the timeless autobiography, The Seven Storey Mountain, published in 1948. The Seven Storey Mountain is considered a spiritual classic. Merton went on to write over 70 books, countless essays, poems, and journals. Many deem him one of the most influential spiritual writers of our era. Even C.S. Lewis noted Merton as one of his favorite contemporary writers. Though with controversy (some consider Merton too mystical, verging on a universalism), Merton has continued to guide many Christians—and non-Christians—through his books, recorded teachings, and poetry. I first came into contact with Thomas Merton through two avenues: poetry and college. His poetry was first introduced to me casually, as I walked Telegraph Avenue in Berkley, California. There I discovered a book, Cables to the Ace. To my surprise the poetry was by a monk. The work was modern, though a tad difficult to understand for me at the time. I bought it, doing a little research on Merton. I was intrigued. I was then re-introduced to Merton by my ethics and philosophy professor at Ohlone College in Fremont, California. Professor Joseph T. Steinke. Professor Steinke had been with Thomas Merton at Gethsemani, studying to be a monk. Through as series of personal deliberations, Steinke left the Abbey. Steinke later married, and found a voice in the academic world. For some reason I gravitated toward Professor Steinke. I sat through some of his classes at Ohlone, taking in his teachings with both a curious interest and a longing to understand ethics and philosophy. When I, myself, was at a crossroad in my life (I was trying to determine if I should remain in school or continue with the rock band I was in, having just been signed to a record contract), I turned to Professor Steinke for advice. He brought me into his office. And after we discussed theology, philosophy, and life, he said I should remain in school. “If things don’t work out in the music business, you’ll never be sorry you didn’t finish school,” he said. “We all need something to fall back upon.” And he was right. I finished school, continuing for many years after. And so that’s how I received Seeds of Contemplation and New Seeds of Contemplation. Both gifts, albeit through Professor Steinke, from Thomas Merton. I’ll always be grateful to Professor Steinke for this act of kindness. But now a confession: I never read either. For some reason, they didn’t resonate with me at the time. Instead, I gravitated towards his works of poetry—my first introduction to his work, and his biographical prose—The Seven Storey Mountain. From there, I read other smaller works: Thoughts in Solitude, Life and Holiness, and The Wisdom of the Desert. I now have many first editions of his work, including Seven Storey Mountain. And through all of this, I agree with C.S. Lewis, Merton is a great writer. Of course I don’t always agree with him, and at times very much disagree with him, but his words have always caused me to pause, to think, and to ponder. I suppose that’s the very reason a philosophy professor would give them to me. Years later, after finishing my dissertation, I called Professor Steinke to thank him for challenging me to finish school. I let him know that I did—all the way to a D. Phil. He vaguely remembered the incident I just described. But he did say, “I must have liked you, for to give you books that Thomas Merton gave me was a great gift.” I agreed. Many of the books Merton left are just this: gifts to be enjoyed, to deliberate—agree or disagree, and read with the attention they deserve. And after his untimely death in 1968 in Thailand due to electrocution, Merton’s influence is still felt at the cusp of his 100th birthday. Chances are, his books will be read a hundred years from now—still causing us to reflect, to muse, and to act. 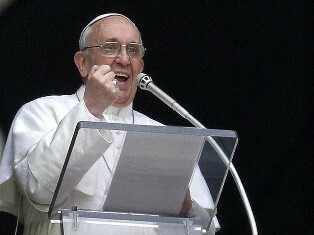 Photos: 1) Pope Francis speaking. 2) Thomas Merton. 3) Brian Nixon. About the writer: Brian Nixon is a writer, musician, and minister. He’s a graduate of California State University, Stanislaus (BA) and is a Fellow at Oxford Graduate School (D.Phil.). 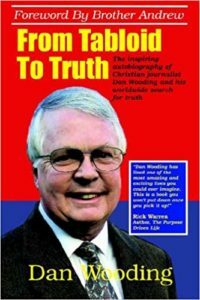 To learn more, click here: http://en.wikipedia.org/wiki/Brian_Nixon or https://twitter.com/BnixNews . Note: If you would like to help support the ASSIST News Service, please go to www.assistnews.net and click on the DONATE button to make you tax-deductible gift (in the US), which will help us continue to bring you these important stories. If you prefer sending a check made out to ASSIST, and mail it to PO Box 609, Lake Forest, CA 92609, USA. We urgently need your help to invest in this unique service.